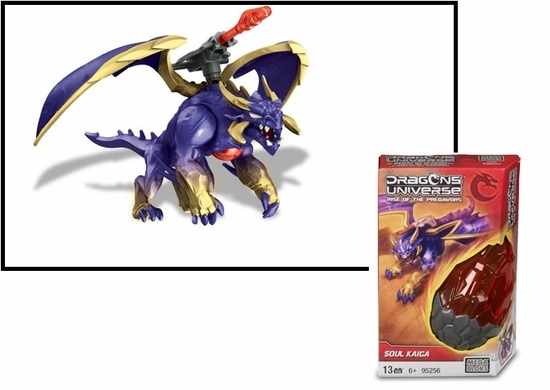 Product Detail Summary: From the Kaigera species, Soul Kaiga is a medium Primal-class Dragon that uses psychic abilities to read the opponent's thoughts and find their weaknesses. Rotating blasters allow him to strike through enemies. A member of the Predavor faction, they are fighting for complete control of all the Power Cores in the universe.